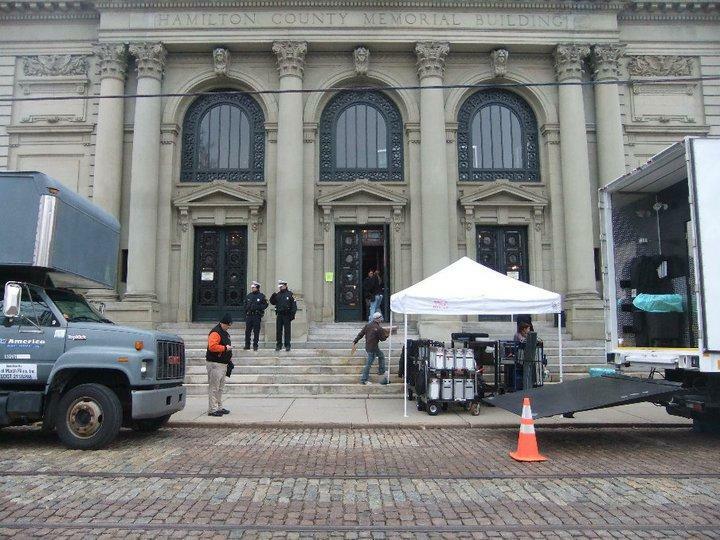 Memorial Hall served as a filming location for George Clooney's "Ides of March." Memorial Hall is one of Hamilton County's storied venues but it often sits empty because of a lack of modern amenities like air conditioning. The Memorial Hall Society, 3CDC and Hamilton County Commissioners are considering a partnership to revitalize the building. Society president Bill Baumann says, "Our vision for Memorial Hall is to help it transition from an underutilized facility to and active arts center with a diverse offering of music concerts and other performing arts programs, film presentations, lectures and art exhibitions." Calls to renovate Memorial Hall aren't new but supporters say now's the right time to act considering all the other projects coming online in Over-the-Rhine. Memorial Hall is just south of Music Hall across from the newly renovated Washington Park.